I’ve been a lackluster blogger lately. I just started my summer term, and so I’ve been elbow deep in qualitative research (which is a wonderful thing, just time consuming). When I am not working on school or working at my job, I am spending every minute I can outdoors. I am keeping up with my commitment to run 1-2 times a week during my lunch hour at work, and I am enjoying some evening and weekend trail runs around my neighborhood. Originally, I had planned to run a half marathon in about two week’s time. However, my body was feeling really fatigued last month, and I made the decision to listen and slow down. Rather than piling on the mileage, I’ve been working on maintaining regular 3-4 mile runs several times during the week. The pay-off has been a pain-free body with a renewed energy to train. I am running a 5K the weekend after next, and then I am going to start working toward my early August half marathon. 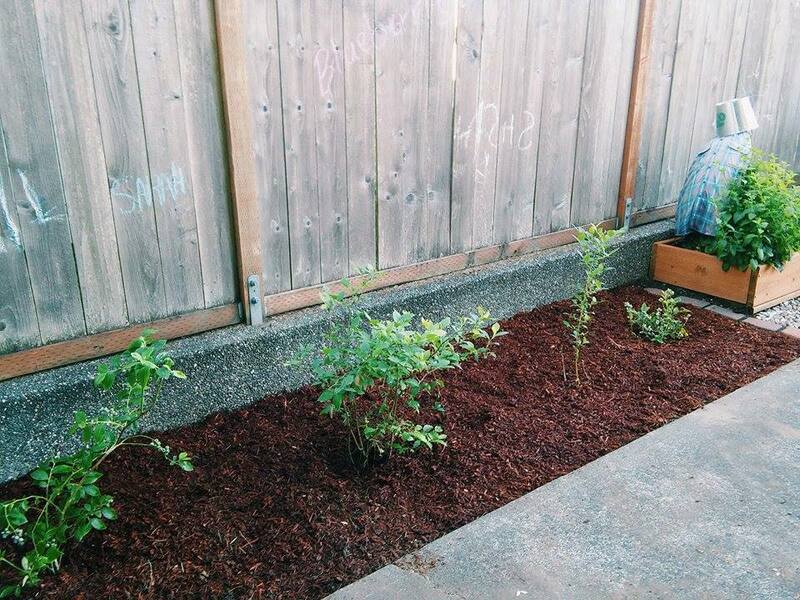 Blueberry patch–a recent gardening project.